If you’re in the northern hemisphere, chances are you’re cold and it’s either raining or snowing outside. What you need is a dose of tiki magic to put the sunshine back into your life – or turn you into a Zombie. First, a few basics: a tiki is a carving of a Polynesian god. Polynesia is a group of about 1,000 islands in the south and central Pacific ocean. There’s more than one god and, as you can imagine with 1,000 islands, there is more than one story about the gods. A tiki is usually carved in wood or stone and the ones we need to be concerned with here are the ones on mugs that hold our rum drinks. According to leading tiki website Critiki.com, the mystery and romance of all that is Polynesian led to a number of openings across the States from the 1950s. But as that generation grew old, so did the tiki concept. Until now, of course. As you’ll see from this small selection of all that is tiki, even in one of the UK’s most rainy cities – Manchester – the spirit of the Polynesian gods lives on. Tiki bars are usually characterised by Hawaiian shirt-wearing staff, tiki paraphernalia EVERYWHERE and a few famous tiki cocktails. The Zombie deserves top billing here. It’s a mix of rums and fruit juices and it’s bloody strong. It was created by one Ernest Gantt – or Donn Beach from his bar Don the Beachcomber as most of us know him – in the late 1930s. Apparently he created it for a hungover businessman who needed to get through a meeting. The man complained that he had been turned into a zombie – hardly surprising when you look at the original recipe: 30ml gold rum, 30ml white rum, 30ml 151 demerara rum, 30ml pineapple juice, 30ml fresh lemon juice, 30ml fresh lime juice, 30ml passion fruit syrup, 1 barspoon brown sugar, 1 dash aromatic bitters. Garnish: mint sprig. Special thanks to Tom Sandham, Ian Burrell, Camper English, Jeff ‘Beachbum’ Berry and Hayden Scott Lambert for their guidance. The bar hosts a Rumbustion Society, which includes three levels of knowledge – disciple of the cove, guardian of the cove and master of the cove. A master gets to join Cate and other masters on a distillery trip. If the club is not up your street, the bar carries some 200 rums and there’s a cocktail list with about 70 libations on it. The bar’s décor is a tribute to all things tiki and the Polynesian paradise was brought to life by local designer Ignacio Gonzales of Top Notch Kustoms. The year is 1934 and Victor Bergeron has built a saloon in Oakland, California, called Hinky Dink’s – after a World War I song Hinky Dinky Parlay Voo. 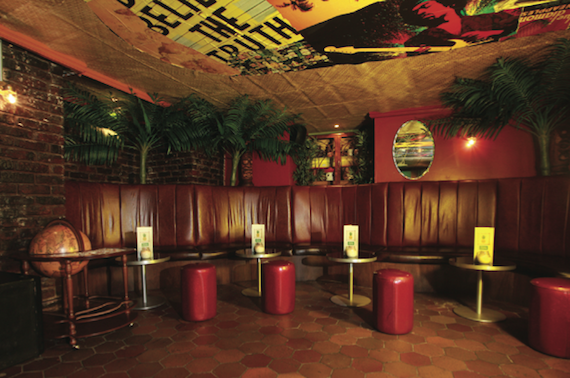 According to the company, Vic travelled to Cuba and Hawaii and, upon his return in 1937, Vic The Trader transformed Hinky Dink’s from a saloon into tropical bar full of gems and memorabilia from warmer climes – and it became Trader Vic’s, serving island food and tropical cocktails. 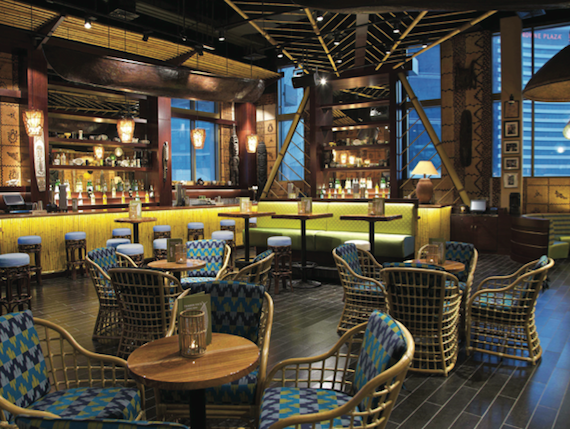 From small beginnings, Trader Vic’s has become an empire with more than 30 locations worldwide. The latest opened last December in Dubai’s Festival City. Each venue has a specially made Chinese wood-fired oven and the menus feature largely Chinese and Cantonese-style dishes. And of course the legendary founder also created one of the most famous rum cocktails around – the Mai Tai in 1944. Having said that, there is some contention around the subject because one Mr Beachcomber was also said to have created a Mai Tai Swizzle some 11 years before. But if you want to know more about that, visit Jeff Beachbum Berry’s website: beachbumberry.com. Experts describe this place as the Mecca of tiki bars. The tropical drinks menu comes in sections ranging from non-alcoholic libations such as the Chocolate Typhoon, with chocolate and strawberries ($6.50) to mild drinks like the Martinique Milk Punch ($7.50). Next come Medium Tropical Drinks such as the Planter’s Punch ($9.25) and a drink served in a coconut called Moonkist Coconut ($14 – and you get to keep the coconut). Finally we’re hitting the hard stuff with Strong Tropical Drinks. These range from $12-$14 and include the Mai Tai (above), Jet Pilot and, of course, the legendary Zombie. From dinner to shows and more grass roofs and aloha chic than possibly exists in the whole of Hawaii, this is a must-visit for the tiki crowd. 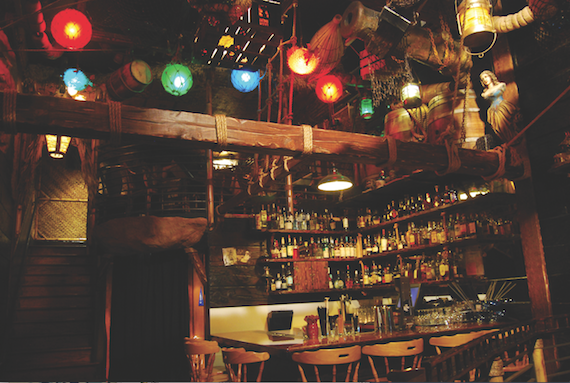 Not far from The Liars Club, you’ll find another tiki paradise in the smaller shape of Keko Moku. It looks like an old shop front from the outside and but when you get through the door, rum barrels serve as tables and the bar is Polynesian-tastic. And guess who worked here before opening The Liars Club? Yep, Lyndon Higginson. The ’tenders here also love to set fire to stuff and if you’re not sizzling by the time you leave, you must be an ice queen. Once you’re through the doors of this place, rainy Manchester disappears – along with your coat, scarf and lots of other non-essential items of clothing. On a Friday and Saturday night, the bar is hot and noisy with dancing and Hawaiian shirts all round. Captain Lyndon Higginson steers the ship and cocktails come in all shapes and sizes – with sharing cocktail Captain Lyndon’s Treasure Chest coming in Large and Larger. 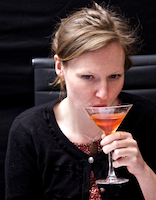 It’s a heady mix of rum, fruit and prosecco and Higginson likes to set fire to things. This place is tiny but it has a very large personality. It made Time Out’s top 20 Berlin cocktail bars and apparently there’s only room for about eight bar stools. The host is Herr Scholl and it is said that his personality is as important to the success of the bar as the drinks on offer. Scholl is a collector of vintage cocktail paraphernalia and, while there might not be much room for tiki trinkets, Scholl makes space for spirits that are no longer available, vintage equipment and even vintage bar stools. As well as rum, gin is also a hit at Rum Trader.